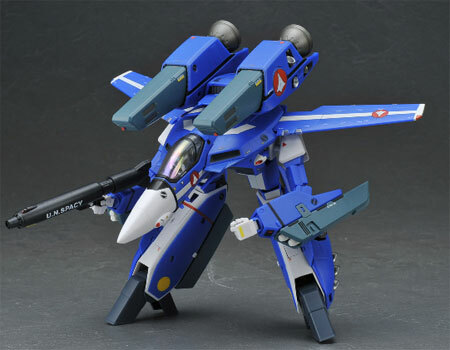 Scheduled for release this October 2009 is the 1/60 scale rendition of Ace Pilots and Husband and Wife tandem,Max and Milia Jenius' VF-1J's. Both come with super packs and are painted in their respective colors. Max's comes in the blue color while Milia sports red. 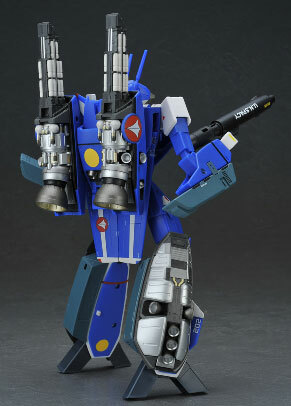 The rocket booster that comes with the super packs of each VF-1J differs from the regular booster pack being sold by Yamato because it also follows the color scheme of Max and Milia's in the television series. Each fighter will be sold for a price of Y13,440. 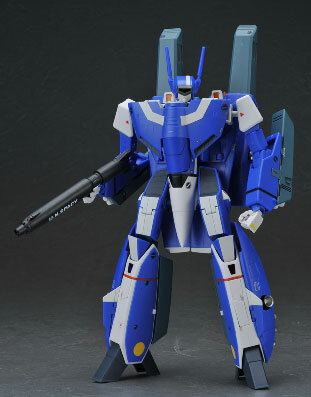 After that there is nothing much new that can be said about these two toys because what they include is standard fare with any super pack equipped VF being sold by Yamato. Which is that they will include: Gun Pod, 4 Missile Racks, Pilot Figure, Stand attachments and 4 Micro Missile Pods. 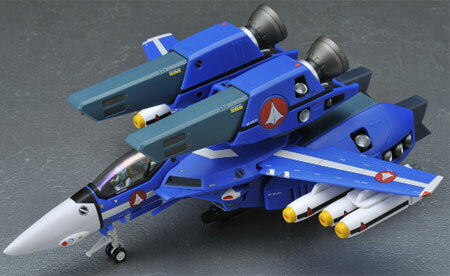 As well as 2 Back Pack Missile pods, 2 Booster Packs, 2 Arm Micro Missile Pods, 2 Propellant Tanks at the leg and 6 Reaction Missiles which can be attached to the wing. 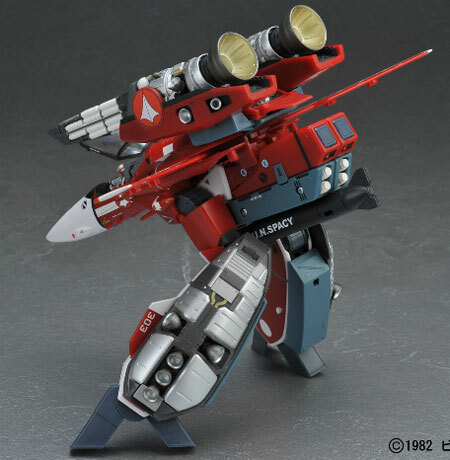 There was also an optional gimmick being sold by an external company for Milia's VF-1J and this was the Baby Carrier of Komilia that was seen in the TV Series of Macross. 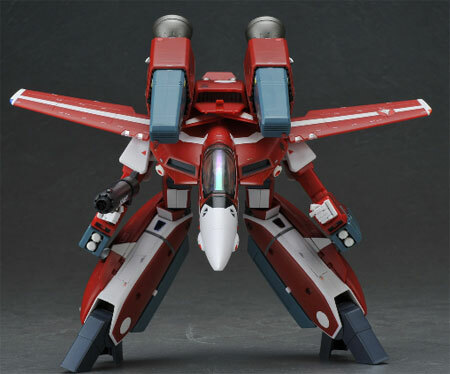 Whatever happened to Max's VF-1J fighter after the original series ended is unknown, Milia's however reappeared in Macross 7. It was kept by her as a personal fighter. During an attack on City 7, she took flight again on her VF-1J and used it to defend the city. 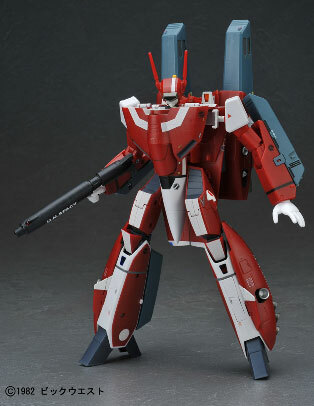 When she was incapacitated, Gamlin of Diamond Force rode her VF-1J into battle. When she saw it explode on screen she screamed in anguish at the loss of it, calling it her very important Valkyrie. Gamlin was Ok of course.